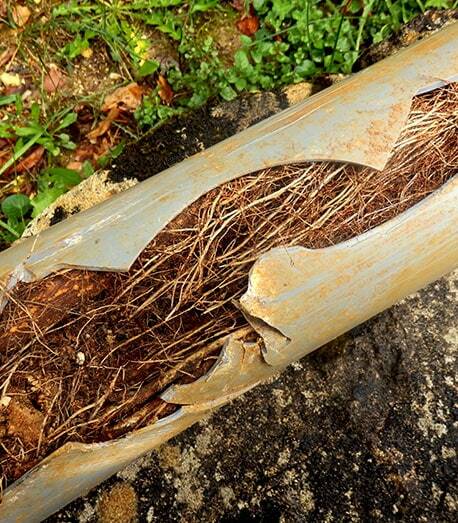 One of the most common forms of blocked drains are tree roots. With Plumbmsart, you know you’re getting a smart solution for your drain’s tree-root removal. We don’t need to dig up your pipes, turning your home into the site of a major excavation project! That’s because, with Plumbsmart, you know you’re getting the smart solution to tree-root removal. We use CCTV cameras to inspect your pipes, to find the source of blockages or breakages. We can then treat the pipe blockage or breakage with minimal intervention into your plumbing system. What we save on costs we pass onto you! So, why not call the smarter solution today, call Plumbsmart!